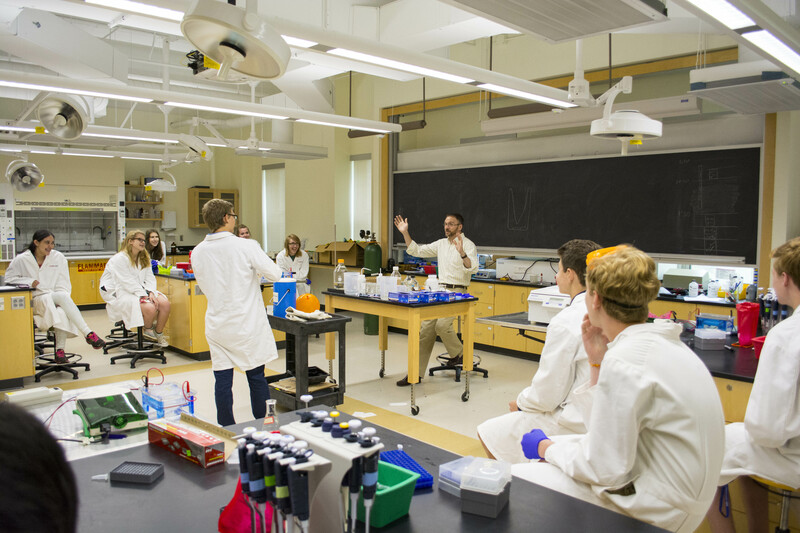 Frontiers participants will be utilizing state-of-the-art technology and facilities, and enjoy added activities such as evening workshops, field trips, movies, live performances, and sports tournaments. Throughout each session, participants will focus most of their time in a Major Course and some of their time in a Minor Course. 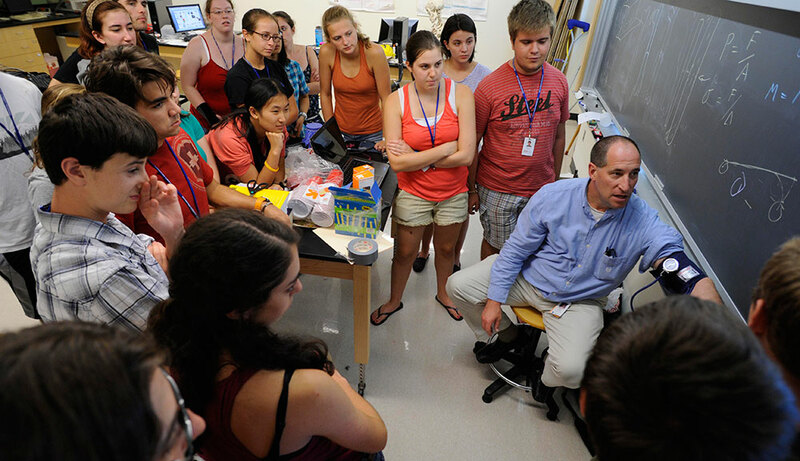 Learn from WPI professors and graduate students while using experimental, analytical, and computer technology. 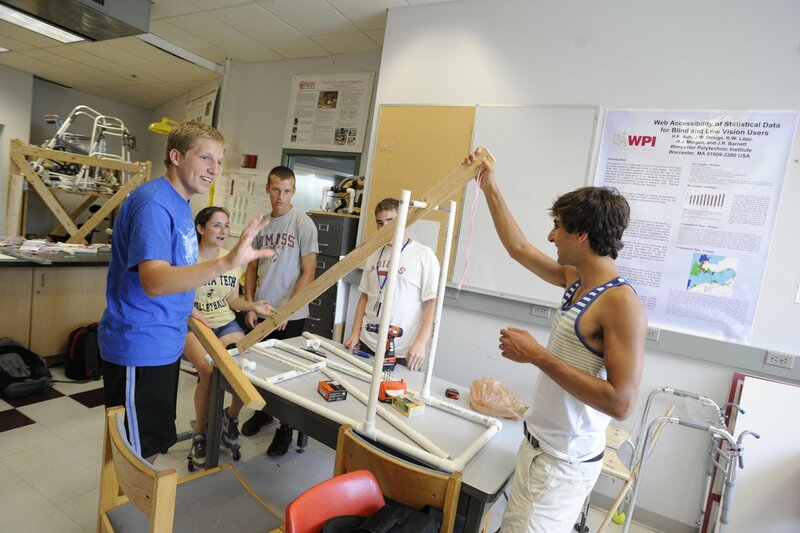 Interested in attending a pre-college summer program here at WPI? Applications are accepted until April 15, 2019. Can't wait to visit campus? We'll bring our beautiful campus to you! Enjoy a walking tour on your desktop or mobile device. 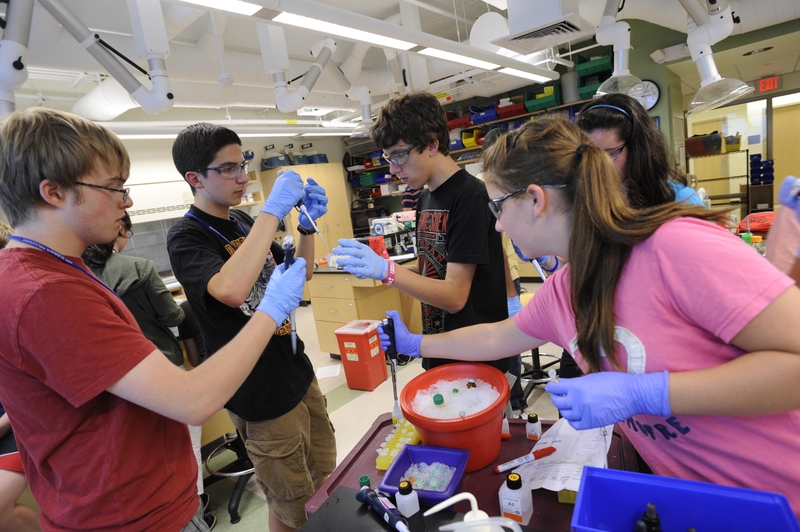 Jumpstart your junior or senior year with an immersion experience that challenges your senses as you explore the outer limits of knowledge in science, technology, math, and engineering. Spend two weeks on campus exploring a selected Major Course and a Minor Course, along with a full schedule of activities and events. Frontiers expanded my perspective to define who I want to be in the future as a scientist or engineer and inspired me to follow my dreams. 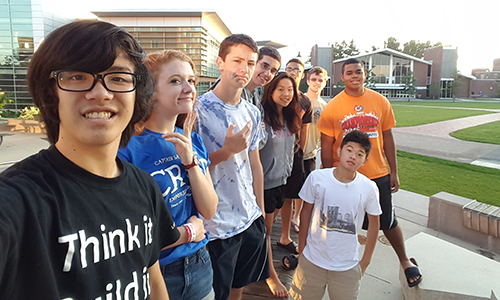 This is Sebastian R... (CRUD Name:...) from the Frontiers Robotics class and I wanted to thank you guys for helping make this the best 2 weeks of my life so far! You have been the coolest, funniest and best teachers/assistants I've ever had! I really enjoyed how hands-on and project-based the STEM workshops were and thought that that made learning a lot more fun! I can honestly say attending Frontiers was the best decision I could have ever made. 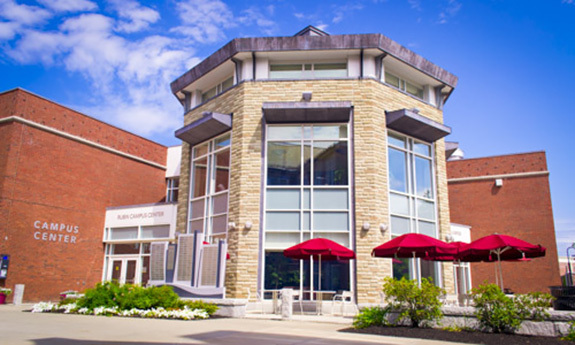 The program cultivated my love for not only Electrical and Computer Engineering, but also for WPI's tight-knit community that I am so blessed to now call my home. Great staff. Extremely pleased with the STEM workshops. Perfect blend of fun and educational.